As the weather heats up for summer, I can’t help but embrace (translation: be obsessed with) flirty and playful skirts, prints and patterns. Lucky for me, one of my favorite print is a classic… Those Pretty Polka Dots…This flirty, retro and whimsical trend is timeless and when it’s on a fun flirty skirt like this pleated little number, it exudes an undeniably youthful flair that’s incredibly timeless. You can purchase this Pretty Little Polka Dots skirt HERE which can be customized to fit your waist and your desired length (16″ – 20″). 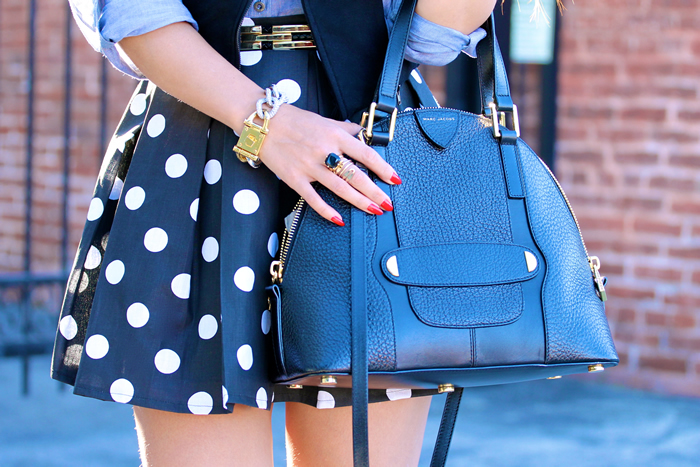 Beautiful bag – and what a fun skirt! Thank you Safiye! I’m 5 feet without heels. This skirt is 16 inches long from waist to hem but it can be made up to 20 inches in length. yup. love this. 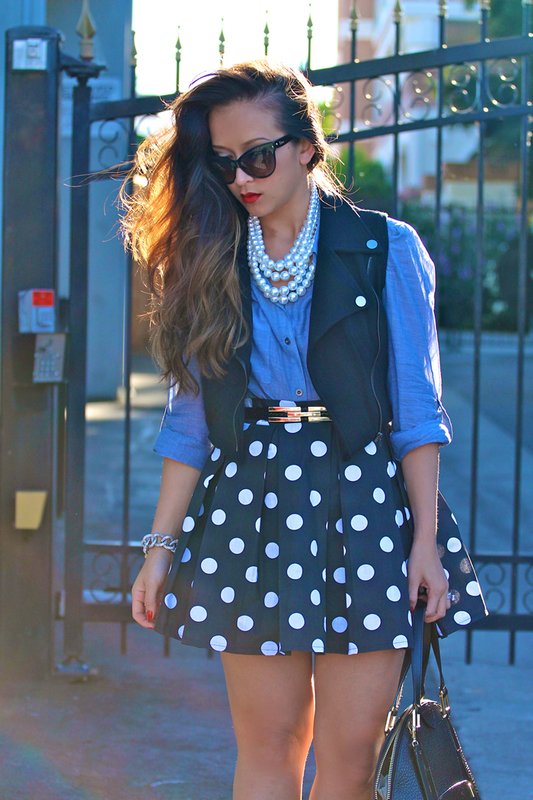 i’m all for polka dots and chambray together! This is so cute! I love the fullness of your skirt! 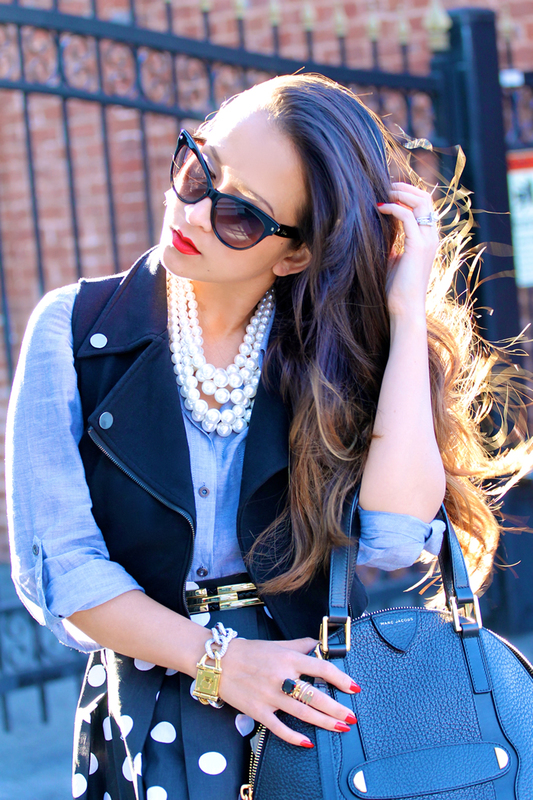 Gah I just love this look! Fun, playful and classy! absolutely fell in love with this look!